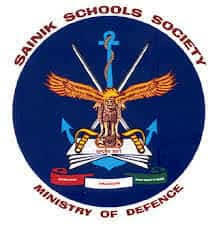 Sainik Schools Society, Ministry of Defence, New Delhi, invites the applications for All India Sainik Schools Entrance Examination for 2019-2020 Session. The Entrance Examination will be held for admission to class VI & IX. Boys who are between the age of 10 to 12 years and 13 to 15 years respectively on 31st March of the year in which admission is sought are eligible to take the Entrance Examination. For admission to Class IX, the boys should be studying in Class VIII in a recognized school. Admission will be made strictly in order of merit only in classes VI and IX. Sale of Prospectus/ Admission Form: 08th October, 2018 to 26th November, 2018. Last date for receipt of application: 01st December, 2018. Date of Entrance Exam: 06th January, 2019. Medical Exam (Tentative): 11th to 28th February, 2019.